One of the items that i invest a lot is in shoes. It is kinda difficult to choose a pair of sport shoes that looks stylish but also functional. I recently tried this Mizuno Synchro MX running shoes with comfortable cushion yet good looking. Wore this pair during my travel to Hong Kong last week and totally love it! Its upper midsole uses denser material to ensure maximum stability while the lower midsole uses u4icx foam to provide good cushion during running. The breathable airmesh ensure wearer to feel cool while wearing it. We had such long walk between spots in Hong Kong and this pair is so comfortable, i had no complaint. Well, if you think i didn't do any running during my travel, it's not right lol. Upon returning to Singapore, i had to rush to the plane gate, and seriously thanks to this pair, else i would not make it! How aobut you? 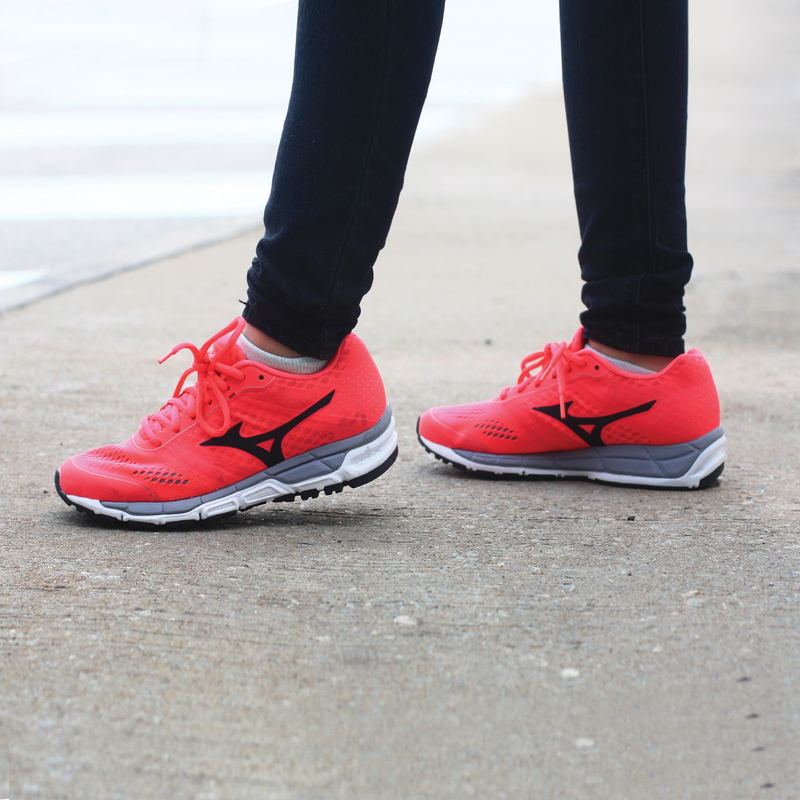 Have you tried Mizuno shoes before? Loving your shoes! Great outfit. I like Mizuno trainers, this pair looks trendy and comfy at the same. Nice photos!